Costa Rica Soccer News – Let’s take a step back and see how the game on Friday night and the stadium in which it is being played gives us a bigger view of how the new world order is falling into place. On Friday, the United States men’s national soccer team plays Costa Rica in San Jose. The Americans have never won in the Central American country during World Cup qualifying, posting an 0-7-1 record and getting outscored 8-1 over the last three matches. But head coach Jurgen Klinsmann’s squad has perhaps its best shot ever at getting three points. Why? Because the match will not be played in Estadio Ricardo Saprissa, the loud, imposing venue nicknamed “the Monster’s Cave” that featured fans on top of the action and a pockmarked artificial turf made for tearing ACLs. Instead, the resplendent Estadio Nacional plays host. The 35,000-seat stadium, which boasts lovely sight-lines for fans, a lovely track surrounding the field that dampens the noise emitted by the happy supporters, and a lovely high-tech turf that prizes skill over cynical soccer, opened in 2011. It cost $105 million, a bill footed by the Chinese. 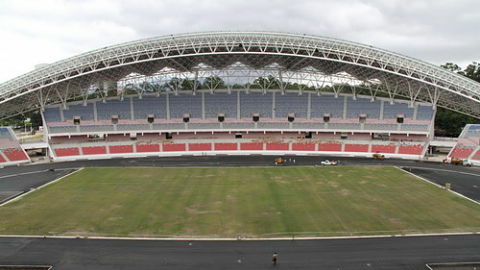 The People’s Republic gave Estadio Nacional as a gift as part of an agreement between Hu Jintao and then-president Oscar Arias. Except gifts are never just gifts in the world of international relations. First, Arias agreed that Chinese workers could build the stadium, despite the fact that Costa Rica was stricken with unemployment from the global economic crisis. He allowed the Chinese company in charge of the project, AFEC, to entirely bypass Costa Rica’s labor laws, which are notoriously strict. Though Costa Rica is a proud advocate of human rights, Chinese employees of AFEC worked inhumane hours right under the nose of the Costa Rican democracy. There was even one casualty on the project, as 37-year-old Liu Hong Bin was hit by a construction vehicle in November 2010. 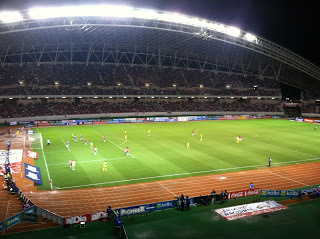 Putting human rights aside, the stadium barely stimulated Costa Rica’s economy, as even most of the materials used were shipped over from China. Additionally, Costa Rica canceled its diplomatic dealings with Taiwan. Additionally additionally, two weeks after the official opening, Costa Rica and China signed a free trade agreement, similar to ones in Chile, New Zealand, and Pakistan. So Costa Rica got a shiny new toy and China got itself a bit of influence. What’s wrong? After all, China isn’t the only nation to buy influence through soccer. Qatar performed similar stadium building-feats in Guatemala and other countries. Everyone wins, right? Well, no. Former Culture Minister Guido Sáenz called the new stadium a crime and said that he thinks it “will lead to the eventual ruin of the park [where the stadium sits].” Others are upset, too. But perhaps the biggest loss for everyone involved was the loss of home-field advantage. The Costa Rican Soccer Federations, angered that the U.S. made them play in the snow back in March, wanted the match in Saprissa. But they had to abandon that plan when it became clear that FIFA wouldn’t approve of a match held in the rundown palace of futbol. See, there’s this beautiful new sterile stadium just down the road, and it’s open for business. Thanks to the Chinese, that might actually happen.